Home / World e-News / Which country is the world's most powerful passport? Which country is the world's most powerful passport? Do you know which country is the world's most powerful passport? Yes, they have the right to access nearly all the countries of the urban world, if you answer the US, UK or China you are absolutely wrong. Recently published a new report powerful passport in the world according to the statistics compiled by the citizens of Japan. Got right of access to Japan without a visa for citizens of Myanmar earlier this month, thanks to which you can get a visa to travel without visas to citizens of 190 countries arrive in the airport. The Singapore in second place in the list of citizens can only have this feature in 189 countries, while reaching the airport as well as visa-free travel in the world's third most powerful passport Germany which citizens of 188 countries visa. The conditions imposed on Uzbekistan had abolished visas for citizens of France is still France on October 5 last month while South Korea ranked fifth in the list. US and British citizens passports of the citizens of these two countries in 2015, where the fifth is the option of traveling to 186 countries, was the most powerful concept, however, not to introduce new rules in recent years the cause appears to be difficult to regain the honor of the two countries. In September this year, Taiwan has exempted from the visa restrictions for citizens of Russia but nevertheless they fall in the ranking is No. 47 on the list. Have the highest growth over the past decade, the United Arab Emirates ranked 62 on the list in 2006 but is now ranked at 21. Despite access to St. Lucia and Myanmar surprising as China is ranked 71 on the list, but so far only 14 of the 2017 level also. In contrast, the countries of citizens in the lowest countries for visa or lack of visas at the airport are the citizens of Afghanistan and Iraq in the first place, which is only supported in 30 countries, while Somalia Syrian passport holder who can benefit from this service in 32 countries.With Pakistan passport citizens are also one of those who have the option of the lowest country in the world and the most vulnerable passport list of Pakistan in fifth because Visa free Visa or airport only 33 countries available happens. 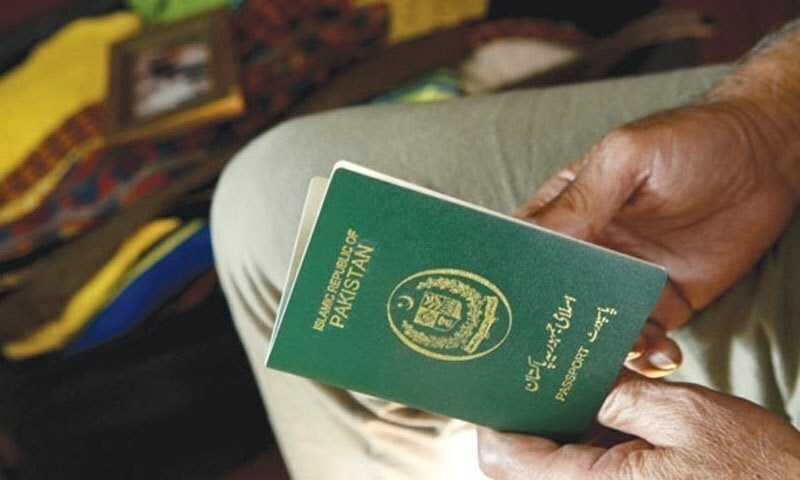 Pakistan is on the list of most powerful passport No. 104 and its citizens would need visas for access to 193 destinations in the world. India is ranked 81 in the list of the strongest passports can use this feature in the citizen 60 countries, while 43 thanks to access to places Visa is ranked 98 in the list.